Your kids play for the same team, but both the defense and offense need to practice. The Scrimmage Helmet Cover helps the guys on the field identify "teammates." Easy on/off. 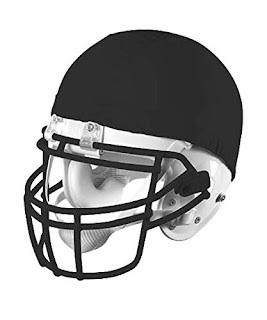 Stretch fabric cap fits all helmets; has a 1/2" gripper elastic bottom to help prevent slippage. Made of cotton/spandex.